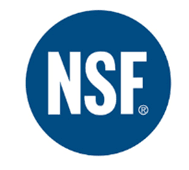 NSF International certifies that the Soda Gun Jetter conforms to the requirements of NSF/ANSI Standard 18 – Manual Food and Beverage Dispensing Equipment. Soda Gun Jetter officially announces an NSF Rating for its revolutionary fully automatic sustainable bar soda gun cleaning system. This mark is your assurance that the Soda Gun Jetter has been tested by one of the most respected independent certification organizations in existence today. It is valued by consumers, manufacturers, retailers and regulatory agencies worldwide. Recognized by regulatory agencies at the local, state, federal and international level, the NSF certification mark means that the Soda Gun Jetter complies with all standard health code requirements.